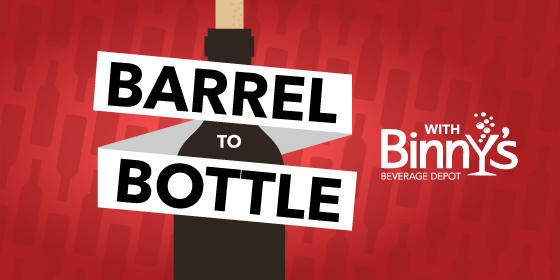 This week on Barrel To Bottle with Binny's Beverage Depot, hosts Kristen Ellis and Jeff Carlin along with Roger Adamson get a unique tasting tour of Goose Island Beer Company's 2017 Bourbon County label releases with Goose Island's head of research and development, Mike Siegel. 2017 marks the most extensive lineup of Bourbon County offerings, including the Bourbon County Brand Stout, the Bourbon County Brand Coffee Stout, Bourbon County Brand Barleywine, Bourbon County Brand Northwoods Stout (flavors of blueberry and almond), Proprietor's Bourbon County Brand Stout (flavors of cinnamon/bananas Foster), Bourbon County Reserve Brand Barleywine, and Bourbon County Reserve Brand Stout (aged in 11-year-old Knob Creek bourbon barrels). Mike walks the B2B crew through each offering's taste profile and development so you can keep your bottles cellared for that special occasion.